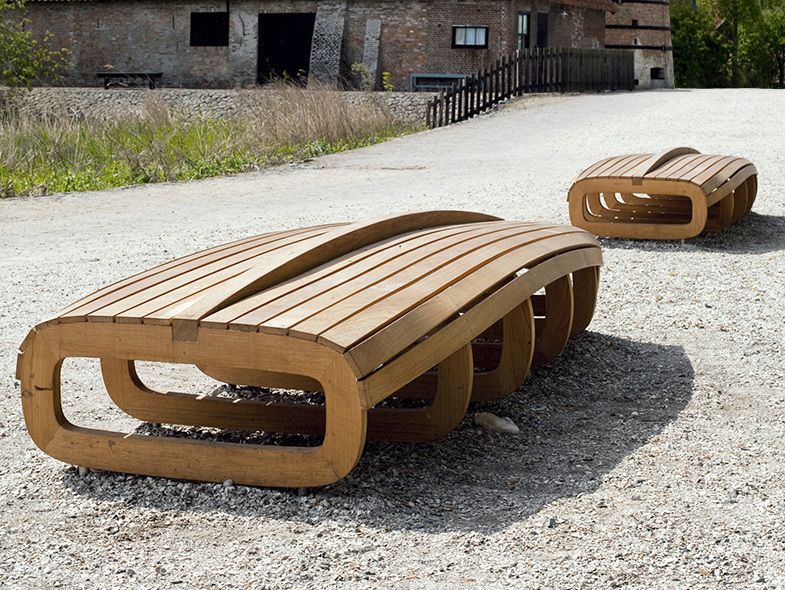 This outdoor bench won 1st prize in a competition held by Fondazione Aldo Morelato, Italy. 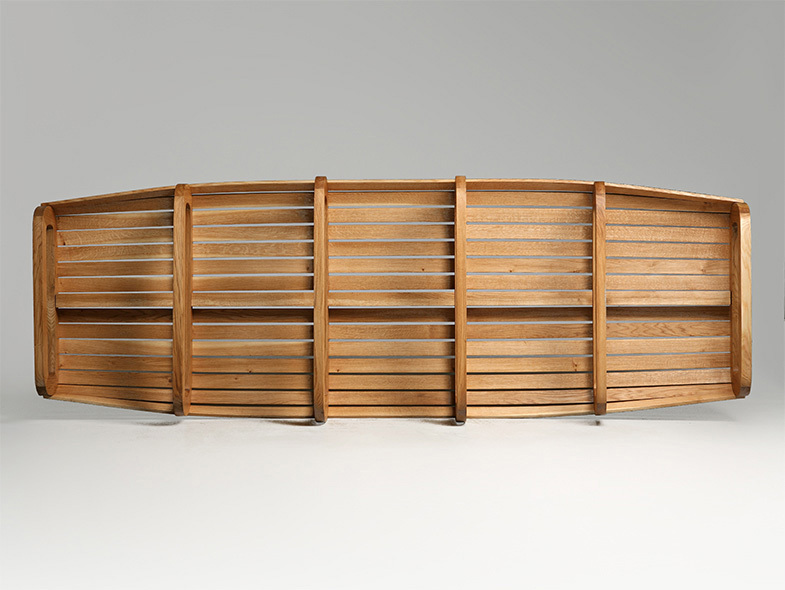 With ‘waiting furniture’ as its theme, this piece was based on the symbolic character of a fisherman’s boat pulled up on the shore. 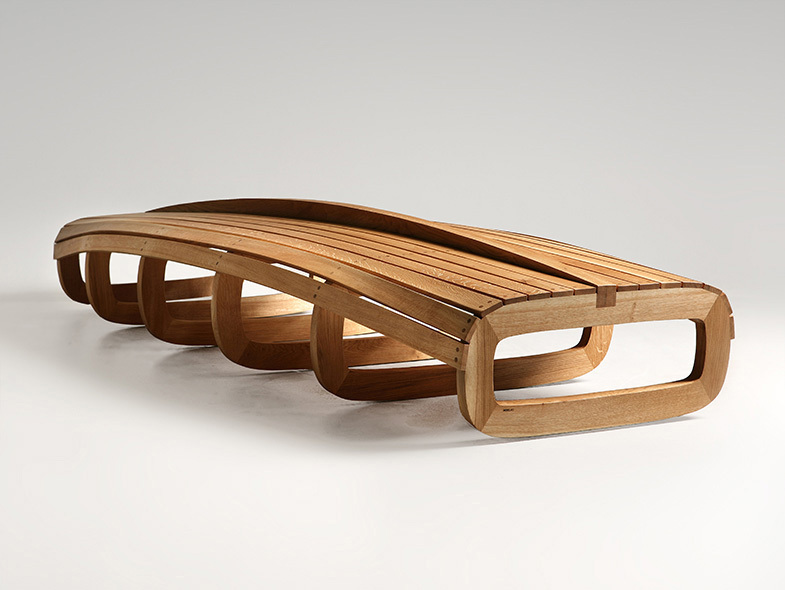 Made for travel, it awaits its true function lying upside down on a beach. 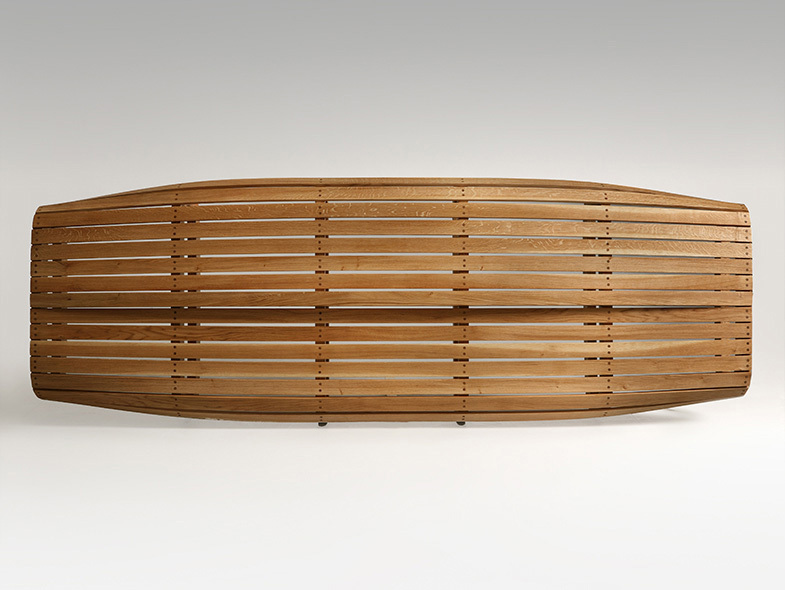 Because making this bench requires the same craftsmanship used in boatbuilding, an iconic reference to a ship’s hull is easily recognised.